Combining households inevitably means dealing with the old bachelor pad furniture. What to do with the perfectly good dining set that has cigarette burns on the chair cushions can sometimes lead to a power struggle. For my fiance and I, it meant a trip to the fabric store to finally recover those hideous cushions! As you can see, they’re pretty simple chairs with a neutral tweed, and a nice burn spot right in the middle of the cushion. These should be pretty easy to update. For now, we decided to keep the wood as-is since we will eventually get a larger, more formal dining table and move this one into the office as a craft table. We chose a fabric that goes well with the adjoining living room. The most difficult part of this was removing all the staples in the back of the chair cushion. You will need a flathead screwdriver and pliers for prying up the old staples, your new fabric, and a staple gun. 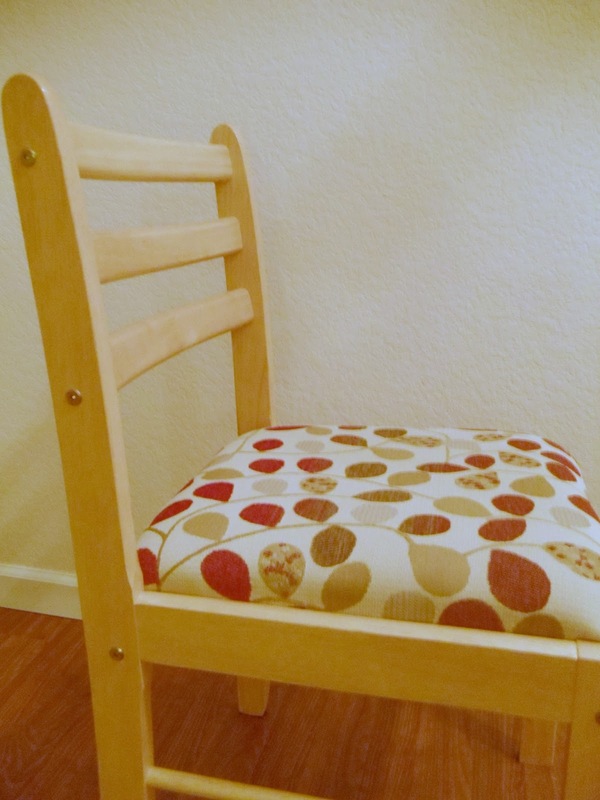 If you want your chair cushions to be more comfortable, you can also find a thicker foam to use. Don’t forget batting if you need to replace it. 1. 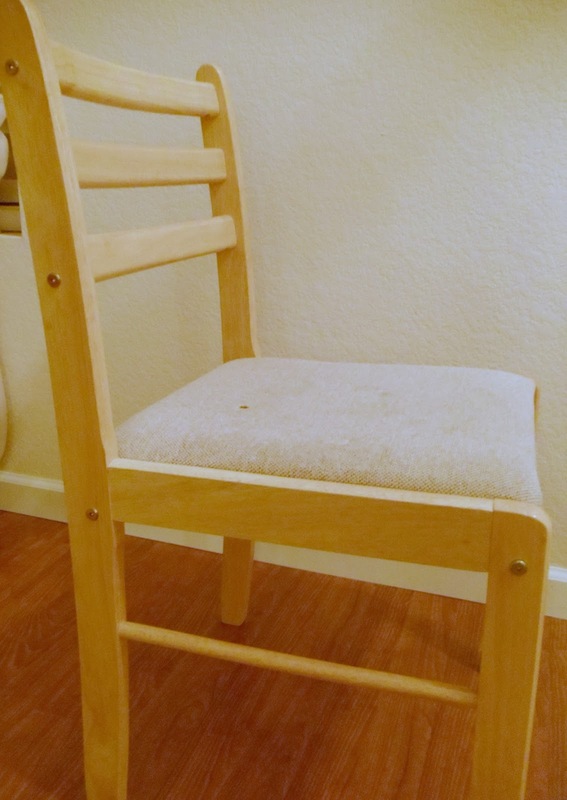 Unscrew the chair cushion from your chair frame. 2. Pry up all the old staples using the flathead screwdriver and pliers. 3. Cut the new fabric and new batting if you’re using it. 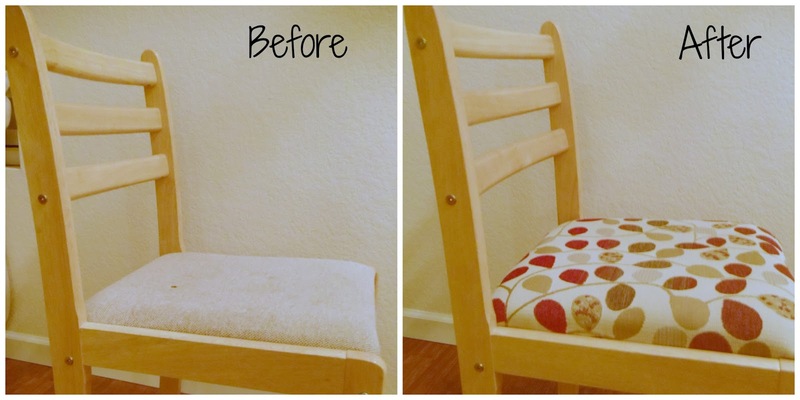 If you’re reusing the old foam, you can use the original chair cover as a template to cut out your new fabric. If you’re using a thicker foam, be sure to cut the fabric in the correct dimensions. 4. Starting in the middle of one side, pull the fabric tight (but not too tight) and carefully staple it in place. Working your way out from the middle, continue to staple along each side, leaving a little room at the corners. 5. Finish off the corners, tucking in the outer sides and forming a triangle in the center. 6. Screw the cushion back on the frame and check out your beautiful new chairs! If your fabric is wrinkled, iron it first. You can also wash the fabric before doing this. Watch out for splinters! The plywood on my chair cushions was very rough and I kept having to pull out splinters from my hands. So, you might want to wear gloves when you do this. If you pull the fabric too tight, the foam may become indented. Be sure to pull the fabric equally tight along the whole side. Don’t worry if you make a mistake – just pry out the last staple and redo it. I have these same chairs, and am redoing them for the second time. This time with plastic (I have a toddler). Thanks for the tips. 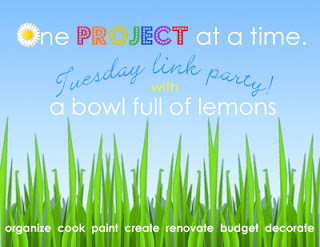 Sounds like a good idea if you have kids! Thanks for stopping by and good luck with the chairs!